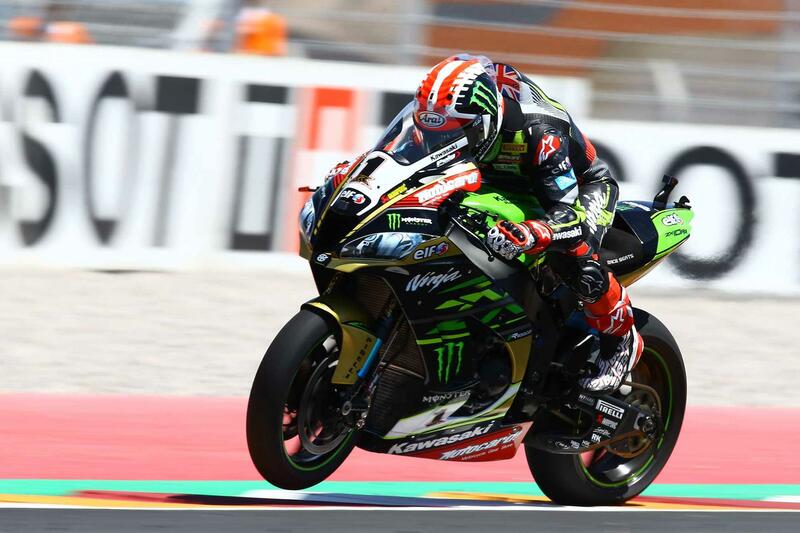 Recently crowned four-time world champion Jonathan Rea has continued his dominant run of form by setting the early pace at the inaugural World Superbike round from San Juan Villicum Circuit in Argentina. After learning the track in the first two practice sessions, every rider on the grid was able to better their initial FP1 fastest times by a considerable margin come the end of the third stint, with the fastest time of 1’39.914 going to the Kawasaki rider with just a handful of laps remaining. 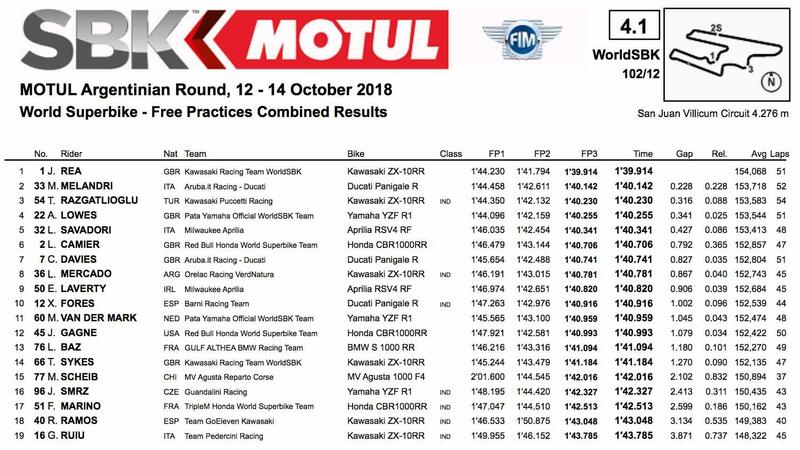 Over four seconds faster than his best FP1 time, the top 10 gaggle of riders were locked in three session-long battles for the quickest time, with the lead often changing hands on a lap-by-lap basis. With the pace quickening towards the end, it looked as if Puccetti Racing’s Toprak Razgatlioglu could mount a late challenge for top spot aboard his Kawasaki ZX-10RR. However, after a series of laps during the middle of the third session within which he and fellow Kawasaki man Rea exchanged the lead on multiple occasions, he was finally unable to respond. Eventually finishing the session with a time of 1’40.230, he came home third fastest behind the Ducati Panigale R of Marco Melandri, who was 0.228 seconds off the quickest time. Following home in fourth was the first of the Pata Yamahas ridden by Alex Lowes. Although setting the fastest time of 1’44.096 in FP1, the British rider was unable to match the quickening pace and ended the day 0.341 seconds down with a lap of 1'40.255.